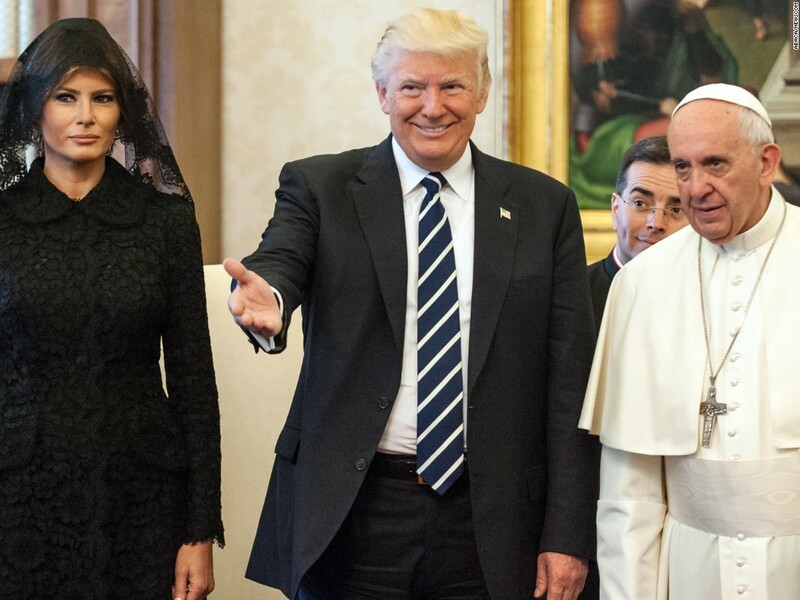 President Trump and his family spent a memorable, and photo-worthy, Wednesday morning at the Vatican with Pope Francis. Although the two leaders have voiced clashing opinions on such topics as climate change, their first meeting appeared cordial, if a little awkward at times. Click or tap on a photo to learn more. 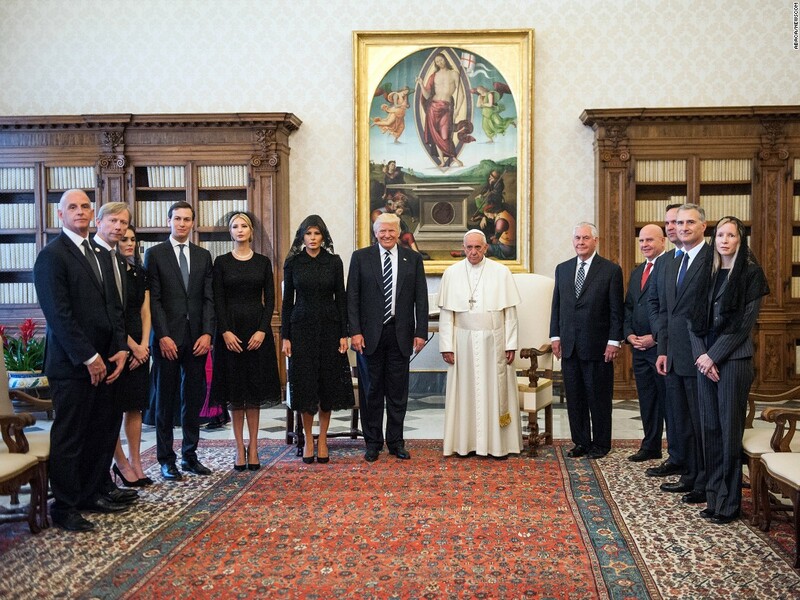 Pope Francis stands with Trump and some of his family members during a private audience at the Vatican. To Trump’s right is his wife, Melania; his daughter and adviser Ivanka; and his son-in-law, White House senior adviser Jared Kushner. 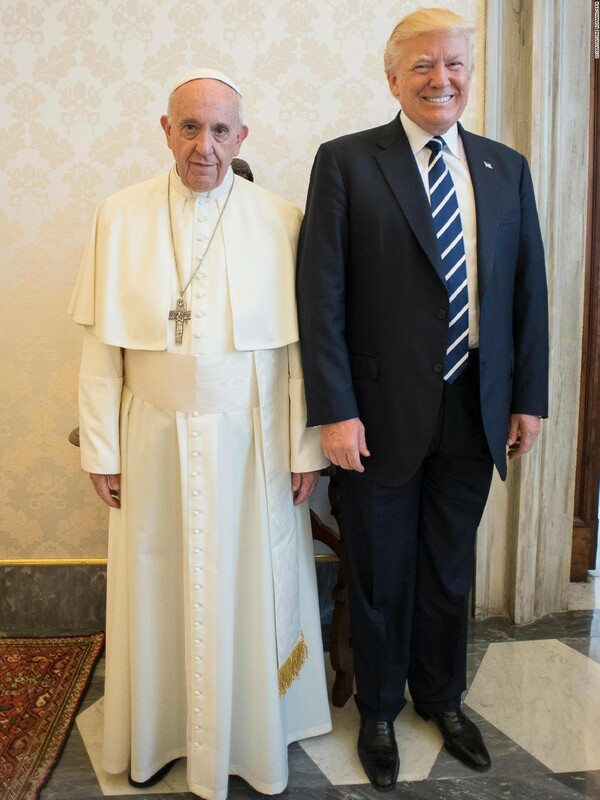 The President and the Pope pose for a photo at the Vatican. Trump is on the sixth day of a nine-day trip to the Middle East and Europe. 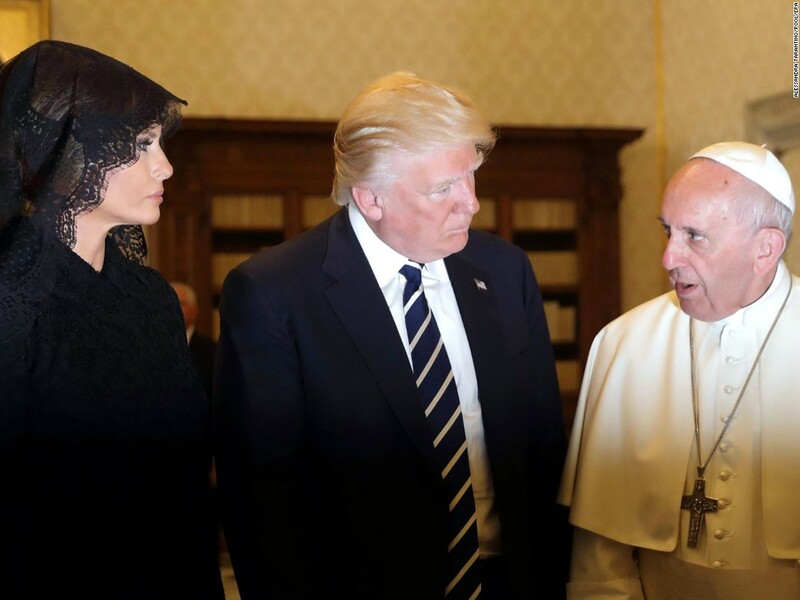 With Vatican protocol in mind, Melania Trump wore a black veil and long-sleeved black dress draped down to her calf. 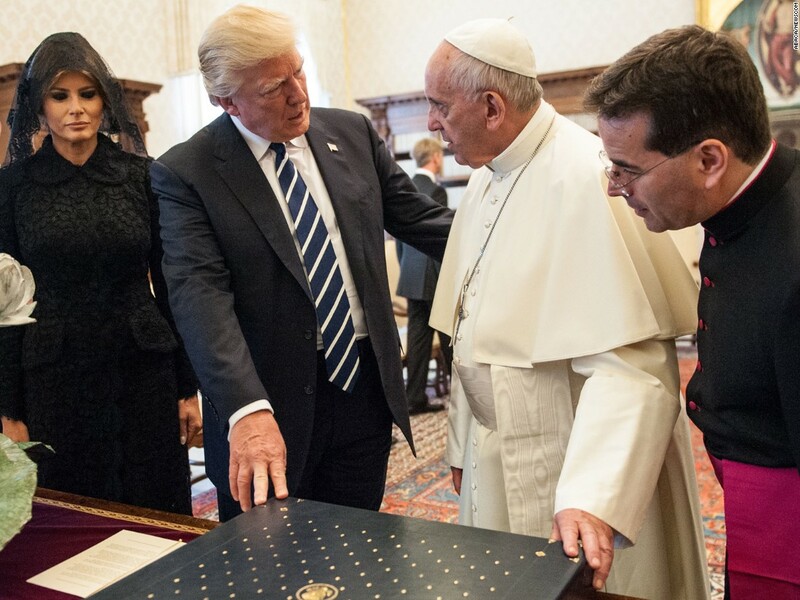 Trump presented the Pope with a first-edition set of Martin Luther King’s writings. 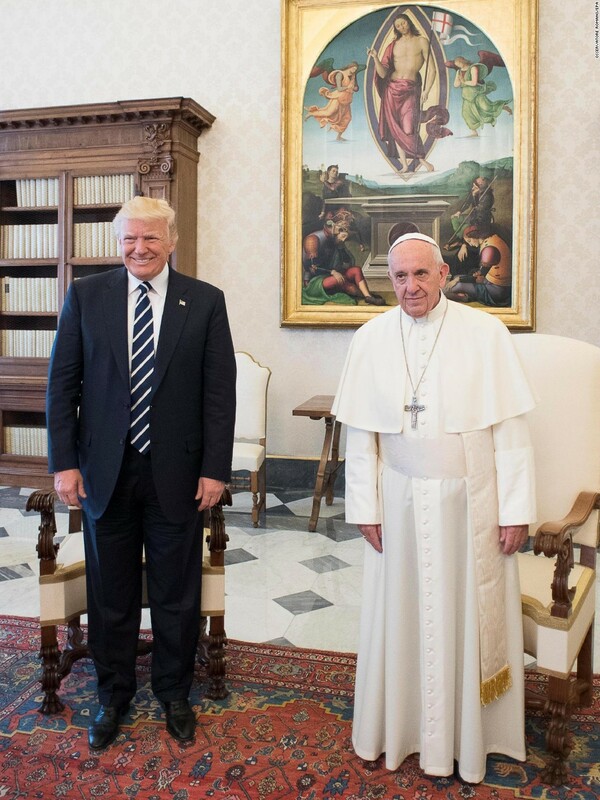 The Pope gave Trump an olive-tree medal that the Pope said symbolizes peace. 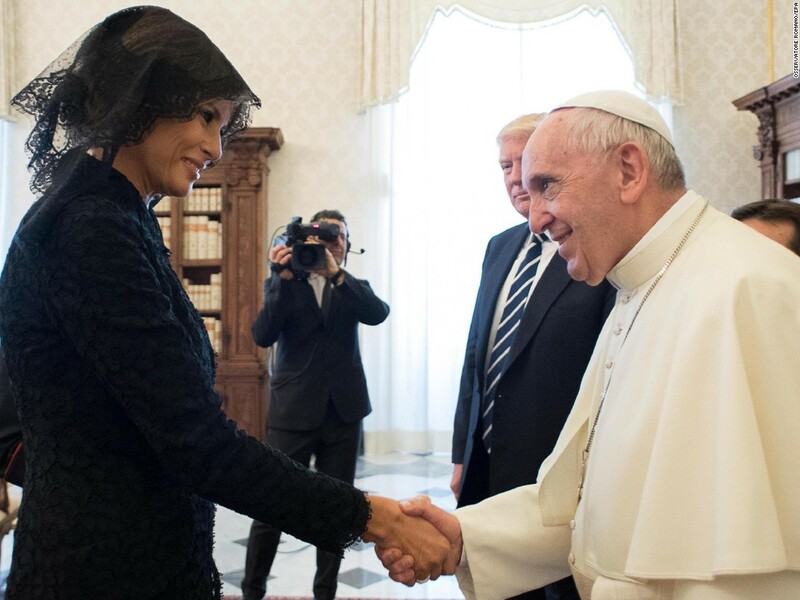 Pope Francis shakes the first lady’s hand. He drew on her Slovenian heritage to make a personal connection. “What do you give him to eat, potizza?” the Pope asked, referring to a Slovenian treat. “Potizza,” she said with a smile. 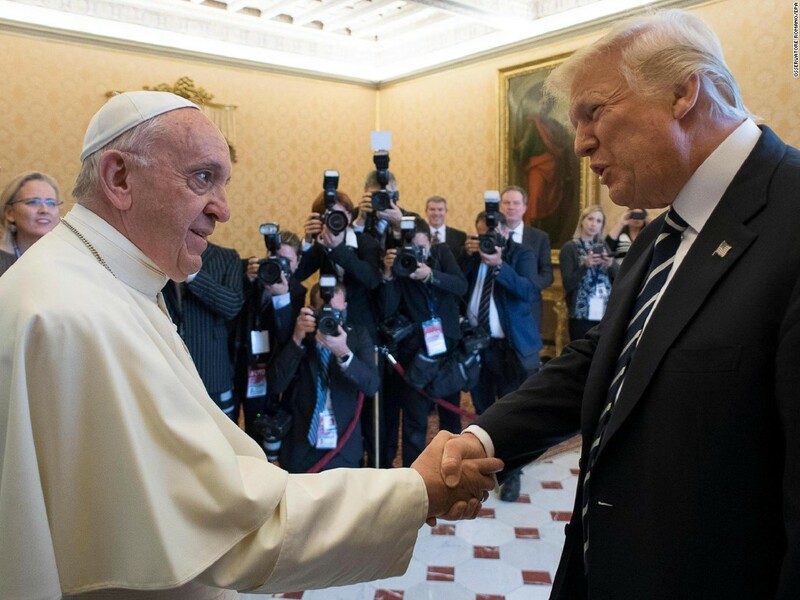 After introducing several members of his administration and staff, the President left for a private tour of the Sistine Chapel and St. Peter’s Basilica. 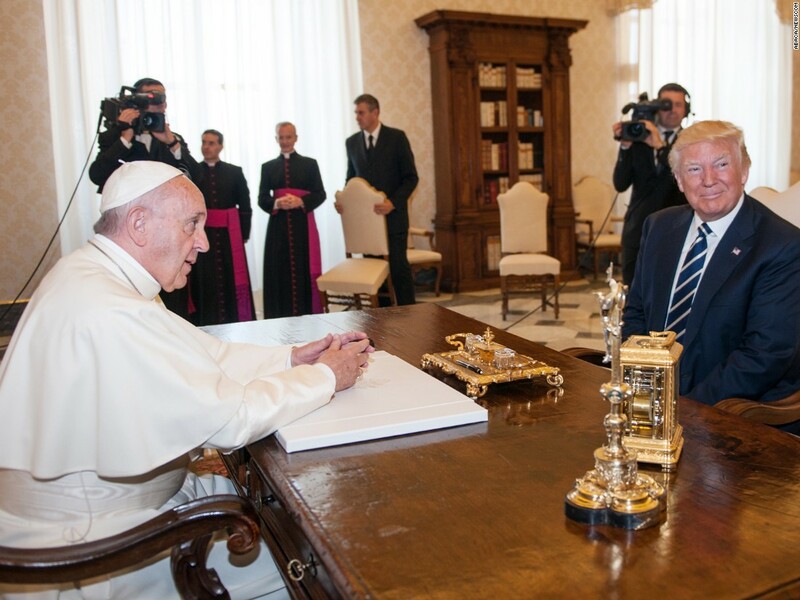 Neither Trump nor the Pope revealed what their private conversation entailed, but readouts from the White House and the Vatican highlighted terrorism, climate change and peace as agenda items covered. 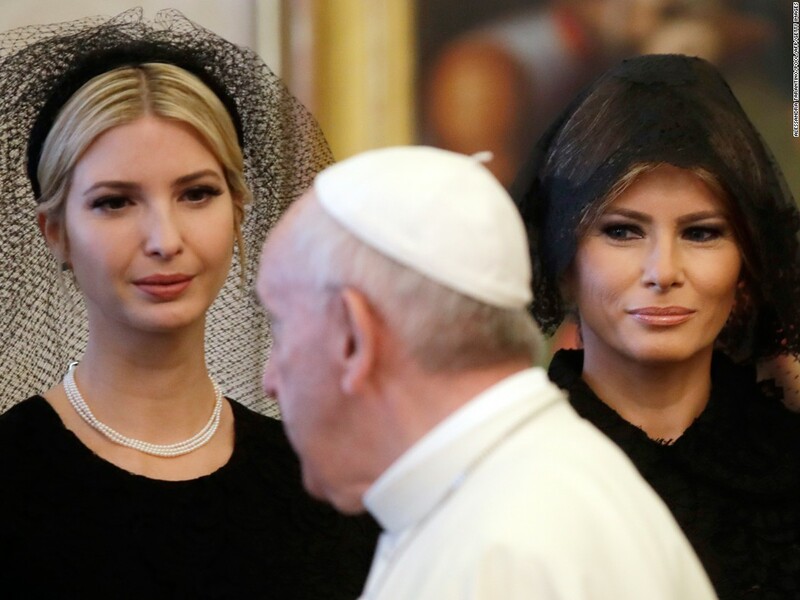 Ivanka and Melania Trump watch the Pope.